The Joshua and 8000 Series Shower Kit is the perfect choice for updating the look of your shower. 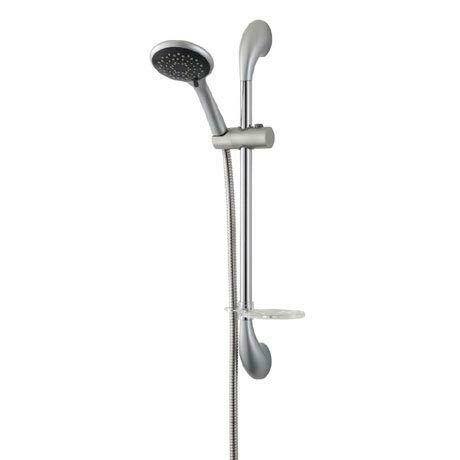 Its stylish contemporary design features a straight chrome riser rail, 5 spray pattern satin shower head, 1.25m chrome shower hose and unique curved satin wall brackets. Triton offer a 12 month guarantee against faulty parts.